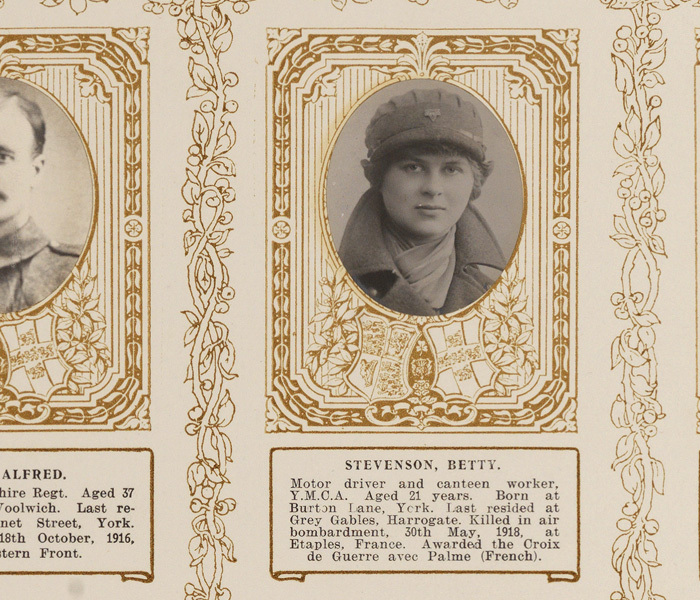 More than 1,470 York men and women were killed in service during the First World War. 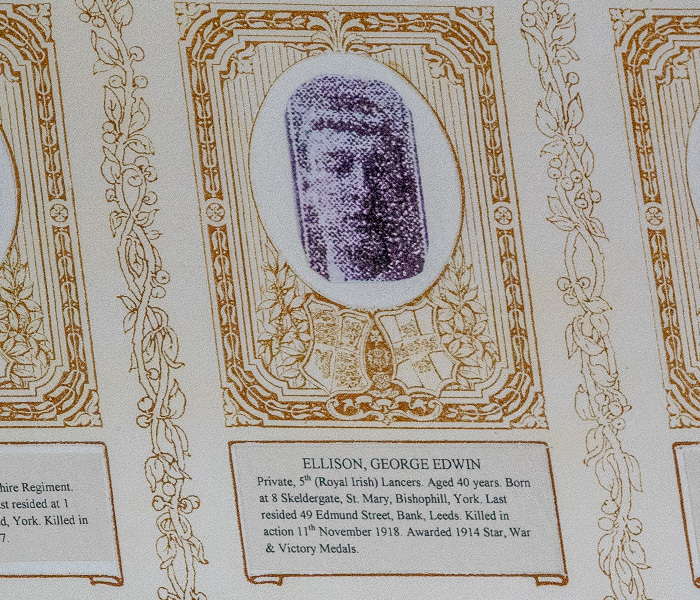 Their names, photographs and biographies are included in a beautiful, ornate book – The Kings Book of York Heroes – which is the city’s memorial to its fallen. 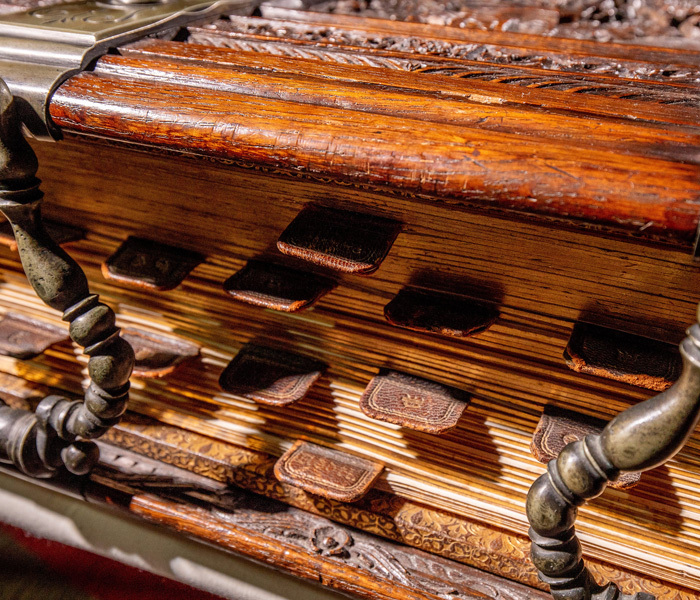 Weighing in at 9st 4lb and measuring 71cm long, 65cm wide and 22cm deep, the book was presented to York Minster in 1920 by the Duke of York on behalf of King George V, for the cathedral to keep as a ‘perpetual record and memorial’. Among the names included in the book is George Edwin Ellison, the last reported British soldier to die in action in the First World War. George joined the army as a regular soldier before the outbreak of the war and was recalled to service during the mobilisation in 1914, participating in all of the conflict and all types of battles from gas attacks to trench warfare. He was shot while on a scouting mission on the outskirts of a town in Belgium on 11 November, less than two hours before the Armistice was declared and five days before his son’s fifth birthday. In 1920, the book recorded details of 1,162 people but additional names have been added in later years as new names came to light and others died from wounds obtained during the conflict. The worst day for casualties for those commemorated in the book was on 3 May 1917, when 32 men are known or thought to have died. Of these, 27 are commemorated at the Arras Memorial, in France, indicating that they were in some way involved in the Arras offensive in spring 1917. 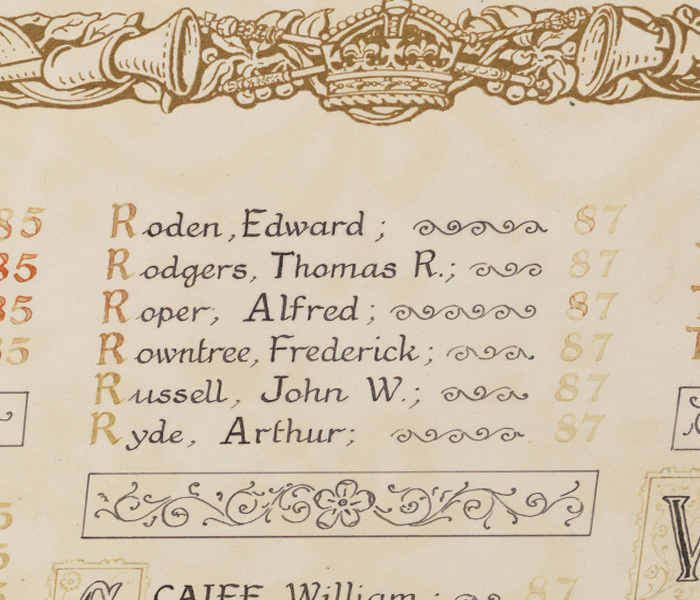 The youngest person to be commemorated is Edward Roden, who lived at Grange Crescent, Fulford Road. Edward enlisted with the Royal Navy Reserve, serving as a Signal Boy on H M Trawler “Kirkland”. He died on 21 August 1917 with nine other people when his vessel was sunk by a mine explosion in the North Sea, just off the Shetland Islands, aged only 15. The oldest known casualty in the King’s Book is George Armstrong, who served as a sergeant in the 5th West Yorkshire Regiment during the First World War. He died on 16 October 1916, aged 61, following an illness contracted at Strensall Camp. The book took 18 months to create and was organised by the Yorkshire Herald. The newspaper appealed for details of anyone born in York or who was a resident at the outbreak of the war and died in service during the conflict. Its creation was a real community affair, with the huge oak covers supplied by the North East Railway Company’s Carriage and Waggon Department – as the only place with wood of that size and quality – and the carving, silver hinges and clasps and binding all done by York based craftsmen. All the names included in the book are being read out at 25 locations around York between 3 October and 11 November 2018 as part of the city’s programme of commemoration for the Armistice centenary. See full details of the programme – York Remembers; Lifting the Shadow of the First World War – here. The King’s Book of York Heroes is currently on display in York Minster’s Nave as part of the cathedral’s First World War commemorations. People can view a reproduction of the book at the Old Palace, Monday – Friday 9am-5pm, on a first come, first served basis. Email collections@yorkminster.org for further information.